This book is really small being only about 3 inches wide by 4 inches high. 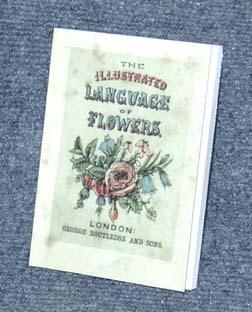 But the text wastes no time with lengthy explanations, containing reference lists that make finding a particular flower easy. The cross reference is equally useful if you want a flower or bouquet to express a particular meaning. However, if you are trying to send someone a message in a floral arrangement, be sure and include a translation.